Value Care At Home is the Leading Nurse Registry in the State of Florida! About Value Care At Home. Value Care is recognized as a leading Nurse Registry in Florida in terms of size and growth. Since 2007, thousands have relied on us to refer compassionate, experienced and qualified caregivers. Our special programs offer real value to assure your satisfaction. In addition, our key management experience well exceeds four decades, allowing us to provide you with a value that’s second to none. Our expertise in private duty home care allows Value Care to focus on attracting the best independent contractors to work as Professional Caregivers, who will deliver the right level of care with knowledge, compassion and dedication. Companionship, bathing, dressing, toileting, transfer, walking assistance, meal preparation, errands and light housekeeping, are among some of the services the Caregivers we refer will perform for you or your loved one. 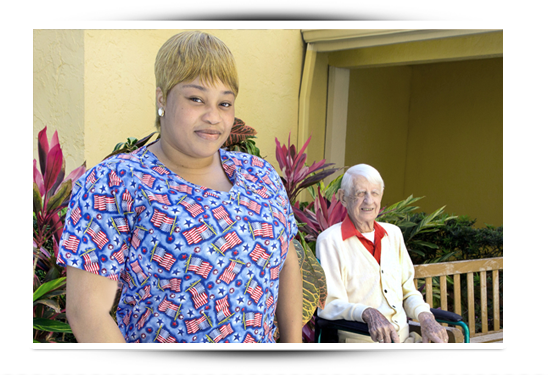 We are in compliance with Florida’s state requirements for screening and contracting Home Health Aides and Certified Nurse Assistants. Registrants must provide: Course completion certificate provided from a Florida school; Proof of Citizenship; Work Authorization/Social Security Card; physical exam, clear chest X-Ray, or negative result for Tuberculosis; AIDS/OSHA Certificate and a CPR Card. National Criminal Background Checks are also Required: Additionally, Value Care implements our Five Star Promise. No one cares like Value Care at Home. We take pride in knowing and offering resources. We always want the best for our clients. If by chance our services are not the best fit for an individual’s particular needs, we may refer the client to another resource such as an assisted living community or a skilled nursing facility. We take pride in our professional and compassionate staff. We are ready and available to help our clients, provide answers and offer caring support. While some companies offer an answering machine or answering service, our Value Care Staff are always on-call; providing our clients with needed continuity. At Value Care, help is available 24 hours a day 7 days a week. You deserve real commitment and a professional caregiver who will provide you with all the support you require. To learn more, Call Us Today for a Free Consultation!